MANILA, Philippines – Who says teens can’t change the world? TIME has released their annual list of 30 Most Influential Teens of 2017. This includes youth from all over the world and across different fields – the “movers” and “headliners” of the year. Two Pinoy teens make it to the cut. The first one is a fierce teen activist and the next is an equally fierce social media influencer. Let’s get to know Shibby De Guzman and Bretman Rock. One of the youngest in the list, Shibby was only 13 years old when she fiercely protested against the government. 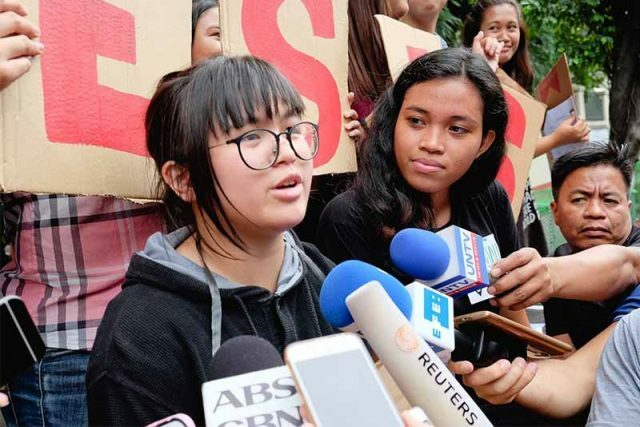 Her photo wearing a placard while in St. Scholastica uniform, earned him the ire of the pro-Duterte supporters. 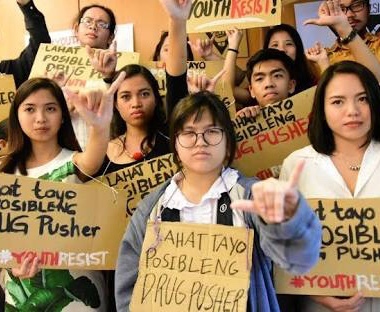 Her placard says “lahat tayo posibleng drug pusher," protesting against the War on Drugs campaign of President Duterte. She also protested against the burial of the late former President Ferdinand Marcos in the Libingan ng mga Bayani. Bretman is a 19-year-old proud gay teen based in Hawaii. He is popular for his viral make-up and lifestyle vlogs on social media. Aside from his hilarious antics, Bretman became a symbolism for being “gay and proud.” He continues to advocate respect to LGBTs and motivates gay teens to be strong amidst bullying. Bretman has close to 9 million followers on his Instagram alone. He gained so much popularity, he had a US tour and hosted the Miss Universe red carpet show. Aside from Shibby and Bretman, the list includes Moziah Bridges,15, who launched a multi-million dollar bowtie business and Salvador Colon also 15 years old, a survivor of hurricane Maria in Puerto Rico. The youngest in the list is Millie Bobby Brown, 13, a teen actress in the hit Netflix show Stranger Things.